« Create a New Year’s gift to clients that’s a business booster too! Hang ’em high, hang ’em low, hang ’em sturdy! One of the hardest items to display in your home goods/ furniture consignment or resale shop is bedspreads, heavy drapes, blankets. 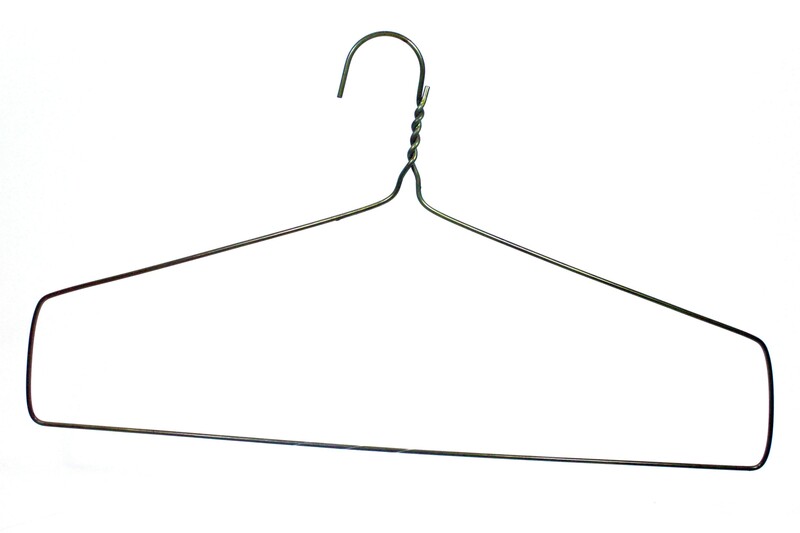 You want to hang them so people can see them… but they are way too heavy to use standard hangers, even if you double or triple a heavy-gauge drapery hanger. Here’s an idea some volunteer came up with at a local thrift I visit. Yes, it’s bulky… but so are those bedspreads. 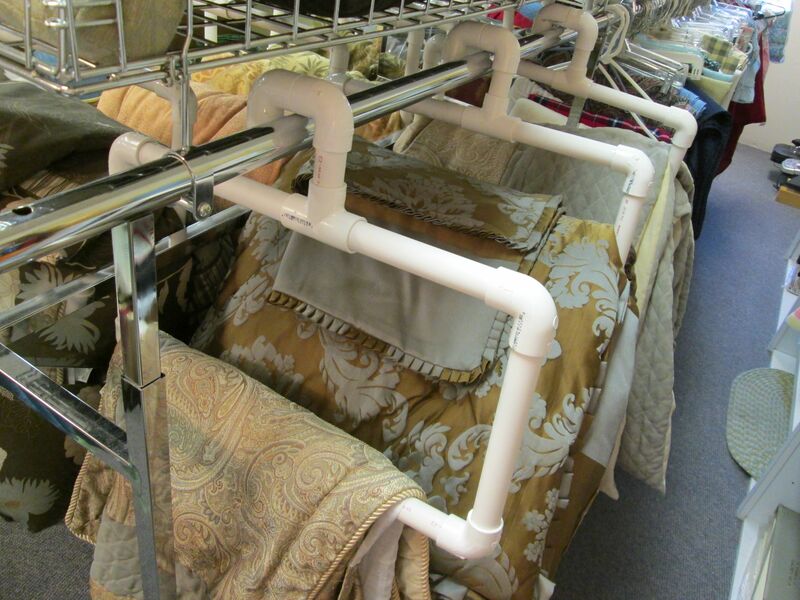 I’m betting these PVC pipe hangers result in much-faster sell-thru for these home textiles… which is what we all want! Here’s hoping there’s a handy-person in your life to make some of these for your shop!